Heading to Animal Kingdom? One thing you won’t want to miss is the Festival of the Lion King at the Harambe Theater. Running several times a day, this live musical show brings to life the story of The Lion King in a way you have never seen before! 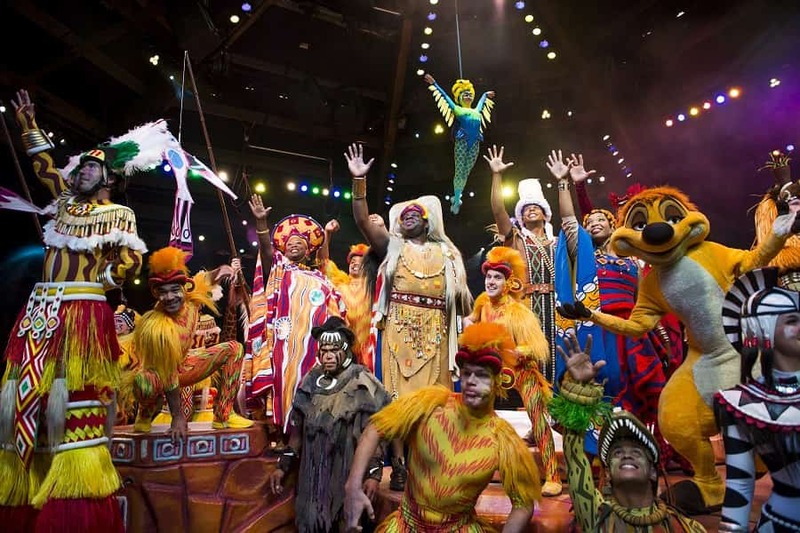 The Festival of The Lion King has everything you could ask for in an interactive live theater show. The storytellers take you on a musical journey through the entire plot of the Lion King. Along the way, you will encounter your favorite characters from the animated movie. 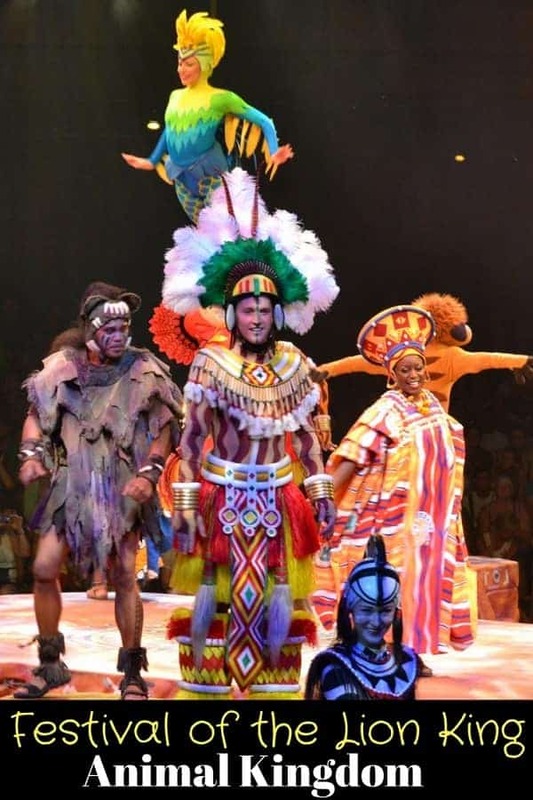 Not only will you experience your favorite Lion King characters brought to life with masterful animatronics, the Broadway style show also involves acrobatics, fire-dancing, and stilt walking. The seating in Harambe theater is stadium seating with four sides. The earlier you get to the theater, the better chance you will have at seating close to the front. Those seating in the front row have the BEST view and an opportunity to be part of the opening show products and end of show festivities. Even if you don’t sit in the front, there really isn’t a bad seat in the house! You will find that the characters on the main stage will move around the theater so that all guests get an equal view. Have you seen Festival of the Lion King? What is your favorite part?